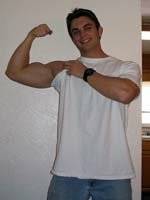 Training For Bigger Arms: Techniques For Natural Bodybuilding. This article is focused on the natural bodybuilders who don't get the extra nutrient/protein assimilation offered by various performance-enhancing drugs. 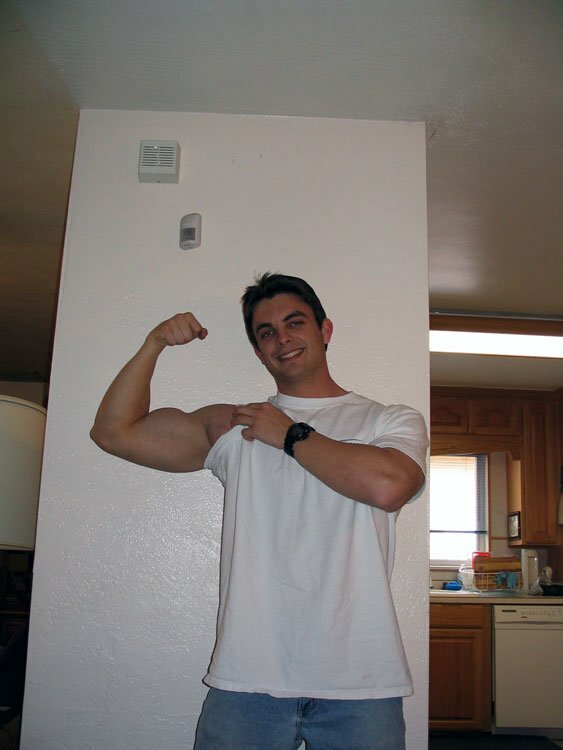 Build a better body and bigger arms by trying what I have learned through trial and error. I wish to preface this article by first saying that if someone is using steroids, their training is different from a volume standpoint and perhaps in particular techniques used, no matter what body part they are training. This article is focused on natural, or drug-free, bodybuilders who don&apos;t get the extra nutrient/protein assimilation offered by various performance-enhancing drugs. It is based on my studying and personal experience. I have had many trial-and-error phases during the years of my competitive training. 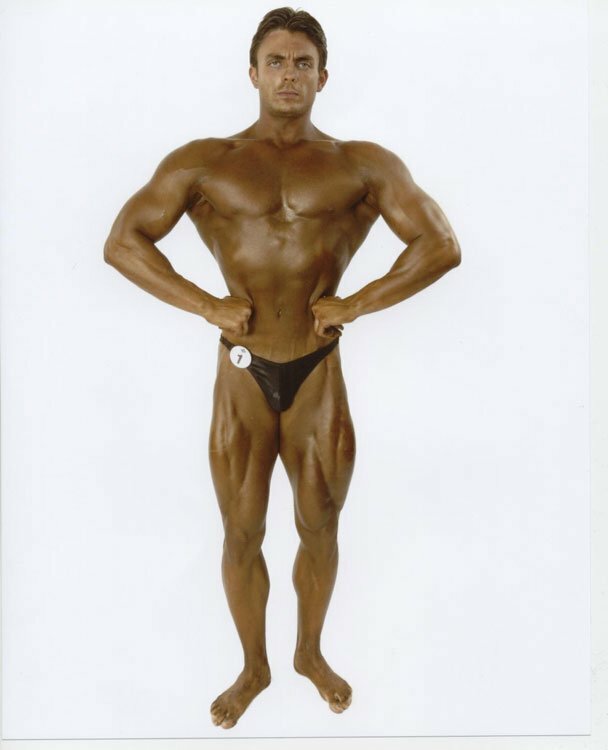 My first bodybuilding competition was at the age of 19, in the year 2000. I didn&apos;t start lifting weights when I was nineteen however. I had been lifting like a maniac since the age of 13, always trying to gather knowledge from any source I could. All I wanted was to be bigger than other natural bodybuilder at a faster rate than what could be considered human. Ha ha. Yeah, have your laughs at my current ~200 pound physique. I&apos;m training better than I used to (I had stopped training for size because of the possibility of getting a leading role in a new television series... no, it didn&apos;t happen), even when I won my biggest titles, and soon I will be a VERY big natural bodybuilding champion. So fooey on you. Anyway, my training at the beginning of my lifting career was based on the idea that "more is better." I trained much like what I had heard of bodybuilders doing in the 1970s and even earlier. You know what I mean; remember the "marathon" training sessions? Yes, I did them. Four hour gym sessions where I assaulted my body with all the plates I could manage. Everyone wants big muscles, but just a few of us are able to manage the courage and discipline to do so. So if I could do bunches and bunches and bunches of sets, then my muscles would certainly grow faster and better, or at least that&apos;s what I thought. Arnold did it, right? Then so could I. (please remember that Arnold was not natural, because I temporarily forgot during this point in my life) I know this article is about arms, but let me give you an example of something about intense lifting. I once visited the gym on Christmas day (2003 I think...) and performed squats for four hours. My trainer wouldn&apos;t let me do more than one set to failure every 12 minutes, so that&apos;s what I did (I think he thought I would die or something). I did this based on a routine I had heard of Arnold doing in his younger years back in Austria. It&apos;s in his book, Arnold: The Education Of A Bodybuilder if you want to read about it. He did like 50 or 60 sets out in the forest with a lifting partner in the space of 2 or 3 hours. No other bodybuilder in the history of the sport has made the same impact. Arnold Schwarzenegger remains the greatest bodybuilder of all time. No, I don&apos;t know what specific page it&apos;s on. Funny, with all the times I&apos;ve read that book, I&apos;m surprised I don&apos;t know what page it&apos;s on. So what did this marathon squat session do for me? I wanted like a quarter-inch on my thighs for it. That&apos;s not what I got though. My legs surprisingly didn&apos;t get really any more sore than they usually would from leg training, but my strength was completely SAPPED for 2 weeks! I tried to do squats about a week later and my legs told me to go play on the interstate! No not literally, they just didn&apos;t have any strength AT ALL. It was then that I began to ponder stupid training versus smart and efficient bodybuilding. What I did was an ego trip and was stupid from a physical benefit standpoint. I did gain knowledge and bragging rights though. I was surprised at the end of my session that it was only 25 sets of squats to failure and not like, 80, because that&apos;s what it seemed like. Try it if you&apos;re not CHICKEN. Ok, so it won&apos;t really do anything for you but screw up your next 2 weeks of workouts probably, but do it anyway. Better yet, just take my word for it and don&apos;t waste your time. So my pursuit deepened into how I could grow faster without wasting my time. Bodybuilding knowledge has come a long way since the Schwarzenegger era, and you need to benefit from that knowledge instead of wasting time like I did. Arnold recommended doing about 25 sets for arms. I do not agree with this, period. If you take drugs to grow faster then maybe it might do something for you, but not from my natural experience. In fact, from a natural standpoint, I&apos;ve become something of a minimalist in terms of number of sets and exercises. Say what you want about this, but it&apos;s working! Let me explain. My workouts take about 45 minutes versus the hours I used to put in during my earlier years of bodybuilding. I used to do straight bar curls, db curls, incline curls and maybe even cable curls for my biceps. Now? I only do straight bar curls! My results and levels of soreness are MUCH greater now too. So what gives? This was extremely counter-intuitive to me. I will explain more about my most recent arm training in a minute, but first I&apos;d like to share an experience that validated my newest training style. 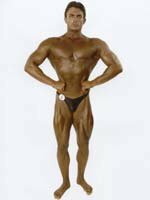 I met a bodybuilder several years ago (in 2001 I think) named Will Rose, who was a training partner of the now-IFBB-pro JoJo Ntiforo. JoJo is an IFBB pro that is determined to reach the upper levels of the IFBB as quickly as he made it to the top of the NPC. 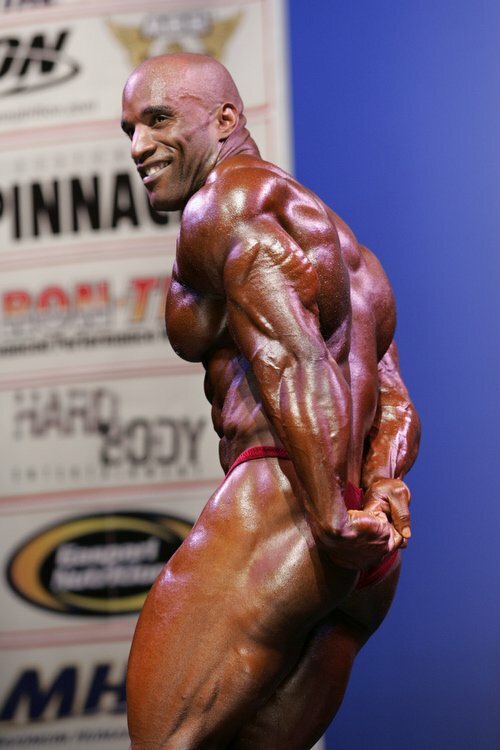 Find out how he got started in bodybuilding, what his on and off-season diet and training are. I knew Joe before he was pro so "nanny-nanny boo-boo". Joe and his brother, Korby, are looking more amazing all the time it seems. However, it was Will who was an amazing person to me. 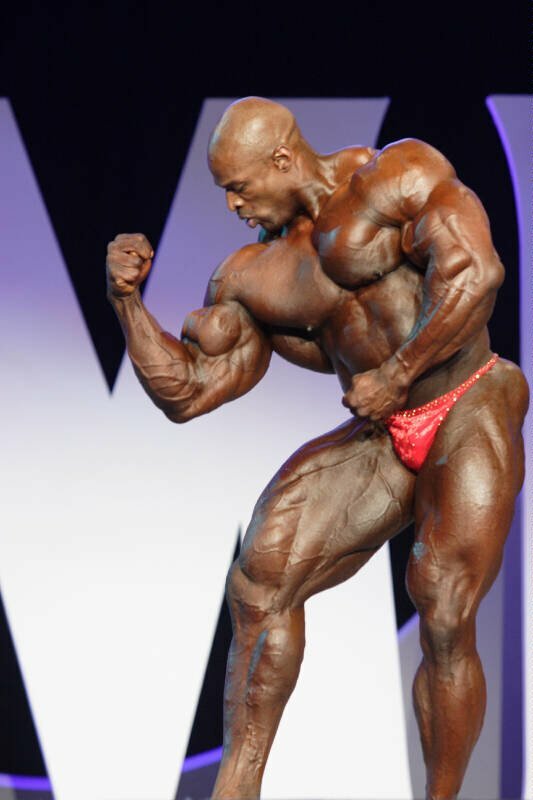 He was one of the few bodybuilders who openly admitted using steroids and insulin. I watched him use insulin once even. He stood about 5&apos;10" it seems to me (so I don&apos;t remember his height exactly), but he weighed 280 at roughly 8% body fat!!! Yeah, he was a very big and powerful man. He became a hero of mine ever since I met him. He was quite possibly the nicest bodybuilder I had ever met, and willing to teach me everything he knew, which was a LOT. You see, Will was no ordinary "muscle-head". He was finishing his degree in something like nuclear-chemistry. It was something like that anyway, but he was so articulate and kind that you just got absorbed in the information that flowed from the brain nestled on that monster frame of his. Will told me that if he was natural, which he was not and pointed out to me, that he would only workout with one exercise per body part (done incredibly intensely), and then focus on eating and sleeping. I thought he was smart and huge and awesome and everything, but I didn&apos;t know if I could believe this. Come on, one exercise per body part? No magazine has ever said that to my knowledge, but then again, good luck finding a featured natural bodybuilder or natural bodybuilding routine in a magazine like "Muscle&Fitness", or as some friends of mine call it, "Muscle&Fakeness". Now I didn&apos;t say that was my take on the magazine, as I do find some of their information useful, but largely I hate how bodybuilding is represented by major publications. They need to distinguish between natural athletes and "enhanced" athletes. Because of this mixing and in my mind, mis-portrayal of information, I don&apos;t subscribe to any muscle magazines anymore. Ok, ok, back to the point. I now agree with Will Rose. Less is more for the natural guys. As long as less is done in a very intense and calculated manner, it will become more in terms of growth, again providing that you are training without any steroids or enhancing prescription drugs. Type of exercise being performed (compound movement or shaping movement). Weight being used in relation to your 1 repetition maximum. Form and number of reps being performed. In training biceps or triceps I will state what I strongly believe to be the most beneficial exercises. Perhaps on triceps, "nose-breakers" / "skull-crushers", could be called the most beneficial exercise in my opinion. The reason I didn&apos;t call close-grip benching or dips the most effective is because they also work out the chest muscles, and I was only focusing on triceps. If you don&apos;t agree with me on the biceps exercise choice, then you can tell me and I will make arrangements to slap you like the ninny you are! Yes, preacher-curls, a.k.a. 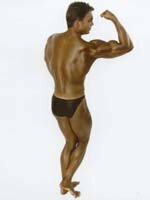 Scott-curls, are great but I believe in the biceps of Arnold over those of Larry Scott, or as I like to call him, "The Mormonator" (for those of you weak on your legendary bodybuilder knowledge, Mr. Larry Scott was and probably still is a Mormon). Is he still alive? Wow, that&apos;s embarrassing. He probably is, so don&apos;t worry about it. Larry, if you&apos;re reading this, I&apos;m sorry. Please forgive me. 1. Make Your Biceps Stronger! Ha ha, ok, seriously now. Do this by finding your 1 rep max at straight bar curls and perform straight bar curls at 80% for 6 reps, followed by a 2:30 rest period, then another set at about 6 reps with 75% of your 1RM, rest again, do another set of 6 at 70% and then try a final set at 65%. 2. To Make Your Triceps Grow! First work on your bench-pressing. Then focus on your press-downs. Your benching will be the best aid for triceps growth, seriously. If you have questions on how to bench, send me an e-mail or something. Or you could just use the same type of formula I wrote above for biceps and apply it to your benching routine. I mean the 80%-75%-70%-65% thingy. For bench though, you may want to drop a larger percentage of weight between your first and second sets because of the enormous amount of strength the bench-press requires. Like maybe 80%, then 70% instead of 75%, then 65% then 60% of your tried-and-true 1RM. Do benching and then triceps in the same workout session. Hey, it&apos;s working for me. To calculate your 1RM, warm-up with progressively heavier sets using progressively less reps, never approaching normal workout fatigue levels. If in doubt, don&apos;t do as many reps while warming up, instead, save that strength for the 1RM you&apos;ve never tried before. To calculate 80% of that max, take a calculator and multiply whatever weight you could use under your own strength by 0.80. It&apos;s a good idea to know what your strength is in all major compound movements (bench, squat, overhead press, curl, deadlift). If I forgot any, just let it go. I&apos;ve been writing this article for a while and my little brain is hurting. Just kidding. It&apos;s a big brain. Got questions? Don&apos;t understand? Send me an e-mail. Or just read it again and convince yourself you know what&apos;s going on.